Wondering about what those grain or marble effects on an image or video? If you are unaware about it, then we would be glad to enlighten you with this effect in detail. Through this article, you’ll know the fact that grain effect is nothing but fractal noise on your media. Let’s have a look and learn about it. Fractal Noise has been brought with ‘Adobe After Effects’ version 7. Being one of the exceptionally versatile plug-ins, it renders fire, marble, woodgrain, clouds, fabric, water etc. 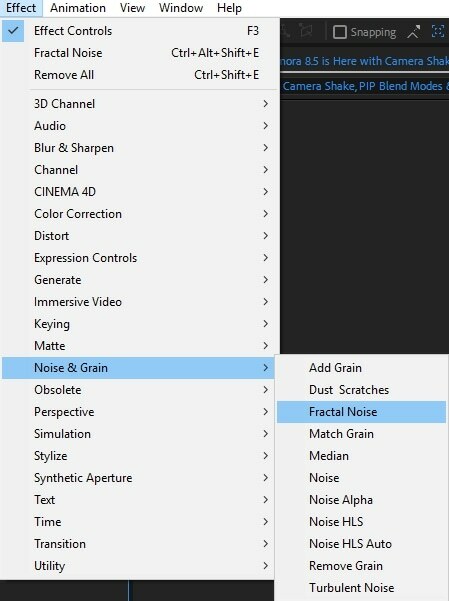 Moreover, you can also use it to create gradient wipes, displacement maps, and a wide variety of patterns, textures and effects with fractal noise. It can be noticed in plug-ins such as ‘Advanced Lightning’, ‘Roughen Edges’, and ‘Turbulent Displace’ as well. When you talk about fractal noise and turbulent noise, you need to know the following points. Turbulent noise effect is an advanced and high-performing application of fractal noise effect. In comparison to fractal noise, turbulent noise is a much advanced feature that takes effect superfast and creates neat animations. Turbulent noise models turbulent systems precisely with small noise features that move faster than larger noise features. The most basic reason for using fractal noise rather than turbulent noise is to create looping animations. Turbulent noise effect lacks cycle controls essential for looping animations, so it’s imperative to choose fractal noise effect here. After Effects from Adobe has fractal noise which is implemented on a solid! By default, the settings will show you a cloudy image with 6 diverse layers collated to create the final outcome. Playing with the default settings would let you learn uncover how the settings work to produce the end product. Step 1: You need to launch ‘After Effects’ after installing it on your computer. Once you are on the ‘After Effects’ interface, click on the ‘Effect’ tab from the top menu bar. Step 2: Now, tap on the Noise & Grain tab from the dropdown list and then select Fractal Noise. Step 3: After that you need to play with the various features under Fractal Noise for creating the end result. Complexity: It represents the number of layers involved to create the result. It can be adjusted between 1 to 6. Noise Type: Setting the Noise Type to Block simplifies the image. When you adjust these settings, sequence of grey scale blocks will occupy the screen. For every 64 pixels a new random value will be generated here. ‘Block’ ensures that each pixel contains the same value as that of the previous random generated value unless it reaches the next value. Changing it to ‘Linear’, would result in interpolated values between every randomly generated point. Upon being plotted over a graph, the pixels with ‘Linear’ setting shows a set of linear lines. Step 4: The Contrast and Brightness settings can manipulate the range of random values generated on the previous step. You can enhance the range between black and white by increasing the contrast. Using the ‘Invert’ checkbox, the image gets reversed. Overflow option gauges the outcome when a pixel crosses the value beyond black or white. After understanding fractal noise effects with After Effects, let’s see how to create a loop using fractal noise. Step 1: Choose a layer from the Timeline panel and tap Effect. Select Noise & Grain and press Fractal Noise here. Step 2: You need to set two keyframes for Evolution. Alter the keyframes and number of Evolution revolutions till you are content with the animation generated by the fractal noise. Step 3: Now, press Cycle Evolution and specify a value for Cycle. The first and last frames of the loop are identical at first. If you want to generate a seamless loop, skip the last frame. You need to set the ‘Out’ point of the layer frame prior to the last frame on the cycle to get this effect. Step 4: The current-time indicator should be placed at the time of completion of the cycle. The current-time indicator needs to be moved back one frame. Step 5: Now, cut the layer’s Out point to this frame. After pre-rendering this layer import it into your project. 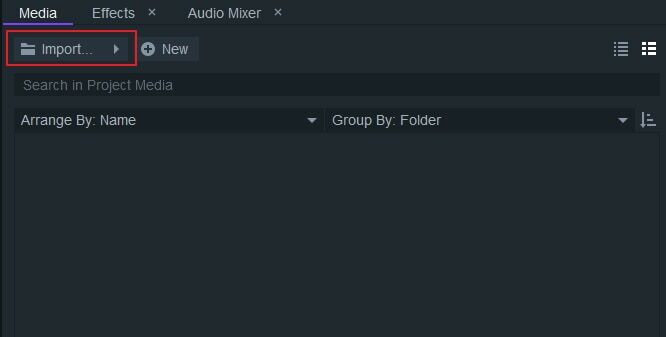 Choose the imported footage within the project panel then tap File > Interpret Footage. Now, you need to set ‘Loop’ to the number of loops essential for the layer duration within your project. If you think After Effects is too difficult to use, FilmoraPro is here for you. It is a build in effect, so you don't need to use it in a complex way. Just drag and drop to start using fractal noise. The final effect is even better than After Effects. Open up FilmoraPro. Click create new project. Now, import video file into media library. Drag it to timeline. Now, the preparation is ready. Search "fractal" in the effects panel. You will see fractal noise in the search result. Now, drag it to video clip. In the controls panel, you can adjust fractal noise effect to have a precise outcome. More than 10 presets for you to choose including jade, solar, watery and so on. You can also change the type of fractal noise. Adjust scale to find the appropriate amount. You can also change sub settings and appearance to make fractal noise professional. From this article, we are positive that you have got a fair idea about fractal noise effect as well as what is the difference between fractal and turbulent noise. Though, the process is intuitive and quick, there is a lot more information regarding that aspect which you need to keep learning. For more such interesting facts about Fractal noise, keep looking for this space. We would be happy to update with the latest news on it.